PERRYSBURG, Ohio (February 5, 2019) - Owens-Illinois, Inc. (OI) today reported financial results for the full year and fourth quarter ended Dec. 31, 2018. "Throughout 2018, Europe`s focus on the top line - sales mix management and premium products - and the benefits of Total System Cost efforts drove higher profits and strong margin expansion. Over the course of the year, the Americas team responded to several unplanned headwinds and the stronger U.S. dollar by growing sales volume outside the U.S., and reducing structural costs across the region. Asia Pacific completed its 2018 asset advancement program and exited the year with a strong margin, as expected. Given favorable market trends, ascribable growth opportunities, and continued structural cost reductions, the Company expects higher earnings and cash flow generation in 2019, consistent with our Investor Day commitments," said Lopez. For the full year 2018, the Company recorded earnings from continuing operations of $0.89 per share (diluted), compared with $1.11 per share in 2017. Earnings in both periods included items that management considers not representative of ongoing operations. In 2018, these items exceeded those recorded in 2017, contributing to the year-over-year decline in earnings from continuing operations. Excluding certain items management considers not representative of ongoing operations, adjusted earnings were $2.72 per share compared with the prior year of $2.65 per share. Cash provided by continuing operating activities for 2018 was $793 million, compared with $724 million for 2017. Adjusted free cash flow1 for 2018 was $362 million. Net sales were $6.9 billion, which is up slightly compared with 2017. Higher prices - largely reflecting cost inflation - were partially offset by lower volumes and currency translation. Total glass container shipments decreased nearly 2 percent on a global basis driven by the transfer of production to the Company`s joint venture with Constellation Brands, ongoing trends in U.S. beer and discrete events, such as the Brazil transportation strike, and capacity constraints in both the Americas and Europe. The Company`s joint venture with Constellation Brands, Inc., continues to perform well, again delivering higher sales compared with prior year, driven in part by the fourth furnace that ramped up early in 2018. The fifth furnace is expected to be completed by the end of 2019. Segment operating profit for 2018 was $945 million, a slight increase from 2017. Higher segment operating profit in Europe more than offset the decline in the other regions. In November 2018, the Company acquired a 49.7 percent interest in Empresas Comegua S.A., the leading manufacturer of glass containers for the Central American and Caribbean markets, for approximately $119 million. At Investor Day 2018, the Company announced its intention to pay a regular quarterly cash dividend to stockholders and increase its share repurchase program. The first dividend of $0.05 per share will be paid on February 12, 2019 to shareholders of record on the close of business on January 22, 2019. Further, over the next three years, the Company expects to utilize the approximately $550 million in repurchase authority remaining as of year-end 2018. In 2019, the Company expects to deliver higher earnings from continuing operations with higher segment operating profit partially offset by non-operational items. Earnings from continuing operations, and adjusted earnings, are expected to be approximately $3.00 per share, which compares favorably with results in 2018. Cash provided by continuing operating activities is expected to be approximately $740 million, whereas adjusted free cash flow for the year 2019 is expected to be approximately $400 million. Full year net sales were $6.9 billion, an increase of $8 million from prior year. Prices were 2 percent higher on a global basis, mainly due to favorable sales mix and ongoing cost inflation. Total glass container shipments decreased nearly 2 percent on a global basis driven by the transfer of production to the Company`s joint venture with Constellation Brands, ongoing trends in U.S. beer and discrete events and capacity constraints in both the Americas and Europe. In Europe, segment operating profit was $316 million, an improvement of $53 million over the prior year, or 20 percent. The region benefited from improvements in Total System Cost, resulting in lower operating costs compared to the prior year. Glass container shipments in 2018 were down less than 1 percent compared with 2017. This decline was offset by the change in sales mix, a favorable pricing environment and the effects of foreign currency. Americas` segment operating profit was $585 million, a decrease of $29 million compared with 2017. Total glass container shipments in the region were down nearly 3 percent in 2018 compared to the prior year with higher shipments to food customers offset by lower shipments to alcoholic beverage customers. Despite capacity constraints, year-over-year shipments in Brazil were also strong in 2018. In the U.S., solid year-over-year growth in shipments to food customers in 2018 were more than offset by a decline in shipments to alcoholic beverage customers, owing to the ongoing trends in beer shipments and the transfer of beer production to the Company`s joint venture with Constellation Brands. Segment operating profit was impacted by higher operating costs in 2018 compared with prior year, driven by cost inflation, the Brazil transportation strike, a now resolved raw material batch disruption at a plant in Mexico, and higher transportation costs due to freight rate inflation. Asia Pacific reported segment operating profit of $44 million, which was $21 million below the prior year. Glass container shipments in 2018 were down nearly 3 percent compared to 2017. As expected, the now completed incremental asset improvement projects in the region drove operating costs higher year-over-year. In both 2017 and 2018, the Company recorded several significant items impacting reported results as presented in the table entitled Reconciliation to Adjusted Earnings. Management considers these items not representative of ongoing operations. The most significant charges in 2018 include $125 million for asbestos-related liabilities (see below), $74 million of non-cash pension settlement charges related to the continued de-risking of the Company`s pension plans, and $102 million for restructuring, asset impairment, and other charges, primarily in the Americas. Charges in 2017 included $218 million for pension settlement, as well as $77 million for restructuring, asset impairment, and other charges. The Company continues to manage its overall risk profile, including asbestos-related risk. Asbestos-related payments were $105 million in 2018, which was $5 million less than the prior year. For the year 2018, the Company`s comprehensive legal review of its asbestos-related liabilities resulted in a $125 million charge due, in part, to factors such as changes in the law and litigation dynamics in specific jurisdictions. As mentioned at Investor Day 2018, the Company is executing on a risk mitigation strategy. This is expected to drive average annual cash payments of $150 million for 2019 and 2020. In 2021, the Company projects cash payments of $60 to $80 million and a year-end total estimated asbestos-related accrual of not more than $250 million, consistent with overall targets conveyed at Investor Day 2018. Net sales in the fourth quarter of 2018 were $1.6 billion, down compared to the prior year fourth quarter. The decline in sales was driven by lower shipments in the quarter, including the transfer of production to the Company`s joint venture with Constellation Brands. Europe offset some of the decline with strong gains in beer. And, the joint venture with Constellation Brands continues to deliver higher shipments year-over-year. O-I CEO Andres Lopez and CFO Jan Bertsch will conduct a conference call to discuss the Company`s latest results on Wednesday, February 6, 2019, at 8:00 a.m. EDT. A live webcast of the conference call, including presentation materials, will be available on the O-I website, www.o-i.com/investors, in the Webcasts and Presentations section. 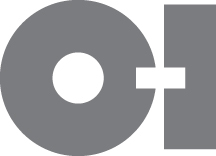 O-I`s first quarter 2019 earnings conference call is currently scheduled for Thursday, May 2, 2019, at 8:00 a.m. EST. At Owens-Illinois, Inc. (OI), we love glass and we`re proud to make more of it than any other glass bottle or jar producer in the world. We love that it`s beautiful, pure and completely recyclable. With global headquarters in Perrysburg, Ohio, we are the preferred partner for many of the world`s leading food and beverage brands. Working hand in hand with our customers, we give our passion and expertise to make their bottles iconic and help build their brands around the world. With more than 26,500 employees at 77 plants in 23 countries, O-I has global impact, achieving revenues of $6.9 billion in 2018. For more information, visit o-i.com. Adjusted earnings relates to net earnings from continuing operations attributable to the Company, exclusive of items management considers not representative of ongoing operations because such items are not reflective of the Company`s principal business activity, which is glass container production. Adjusted earnings are divided by weighted average shares outstanding (diluted) to derive adjusted earnings per share. Segment operating profit relates to earnings from continuing operations before interest expense (net), and before income taxes and is also exclusive of items management considers not representative of ongoing operations as well as certain retained corporate cost. Segment operating profit margin is segment operating profit divided by segment net sales. Management uses adjusted earnings, adjusted earnings per share, segment operating profit and segment operating profit margin to evaluate its period-over-period operating performance because it believes this provides a useful supplemental measure of the results of operations of its principal business activity by excluding items that are not reflective of such operations. Adjusted earnings, adjusted earnings per share, segment operating profit and segment operating profit margin may be useful to investors in evaluating the underlying operating performance of the Company`s business as these measures eliminate items that are not reflective of its principal business activity. Further, adjusted free cash flow relates to cash provided by continuing operating activities less additions to property, plant and equipment plus asbestos-related payments. Management uses adjusted free cash flow to evaluate its period-over-period cash generation performance because it believes this provides a useful supplemental measure related to its principal business activity. Adjusted free cash flow may be useful to investors to assist in understanding the comparability of cash flows generated by the Company`s principal business activity. Since a significant majority of the Company`s asbestos-related claims are expected to be received in the next five to seven years, adjusted free cash flow may help investors to evaluate the long-term cash generation ability of the Company`s principal business activity as these asbestos-related payments decline. It should not be inferred that the entire adjusted free cash flow amount is available for discretionary expenditures, since the Company has mandatory debt service requirements and other non-discretionary expenditures that are not deducted from the measure. Management uses non-GAAP information principally for internal reporting, forecasting, budgeting and calculating compensation payments. This document contains "forward-looking" statements within the meaning of Section 21E of the Securities Exchange Act of 1934, as amended (the "Exchange Act") and Section 27A of the Securities Act of 1933. Forward-looking statements reflect the Company`s current expectations and projections about future events at the time, and thus involve uncertainty and risk. The words "believe," "expect," "anticipate," "will," "could," "would," "should," "may," "plan," "estimate," "intend," "predict," "potential," "continue," and the negatives of these words and other similar expressions generally identify forward-looking statements. It is possible the Company`s future financial performance may differ from expectations due to a variety of factors including, but not limited to the following: (1) foreign currency fluctuations relative to the U.S. dollar, (2) changes in capital availability or cost, including interest rate fluctuations and the ability of the Company to refinance debt at favorable terms, (3) the general political, economic and competitive conditions in markets and countries where the Company has operations, including uncertainties related to economic and social conditions, disruptions in the supply chain, competitive pricing pressures, inflation or deflation, and changes in tax rates and laws, (4) the Company`s ability to generate sufficient future cash flows to ensure the Company`s goodwill is not impaired, (5) consumer preferences for alternative forms of packaging, (6) cost and availability of raw materials, labor, energy and transportation, (7) the Company`s ability to manage its cost structure, including its success in implementing restructuring plans and achieving cost savings, (8) consolidation among competitors and customers, (9) the Company`s ability to acquire businesses and expand plants, integrate operations of acquired businesses and achieve expected synergies, (10) unanticipated expenditures with respect to environmental, safety and health laws, (11) unanticipated operational disruptions, including higher capital spending, (12) the Company`s ability to further develop its sales, marketing and product development capabilities, (13) the failure of the Company`s joint venture partners to meet their obligations or commit additional capital to joint ventures, (14) the Company`s ability to prevent and detect cybersecurity threats against its information technology systems and comply with data privacy regulations, (15) the Company`s ability to accurately estimate its total asbestos-related liability or to control the timing and occurrence of events related to outstanding asbestos-related claims, including but not limited to settlements of those claims, (16) changes in U.S. trade policies, (17) the Company`s ability to achieve its strategic plan, and the other risk factors discussed in the Annual Report on Form 10-K for the year ended December 31, 2017 and any subsequently filed Annual Report on Form 10-K, Quarterly Report on Form 10-Q or the Company`s other filings with the Securities and Exchange Commission. It is not possible to foresee or identify all such factors. Any forward-looking statements in this document are based on certain assumptions and analyses made by the Company in light of its experience and perception of historical trends, current conditions, expected future developments, and other factors it believes are appropriate in the circumstances. Forward-looking statements are not a guarantee of future performance and actual results or developments may differ materially from expectations. While the Company continually reviews trends and uncertainties affecting the Company`s results of operations and financial condition, the Company does not assume any obligation to update or supplement any particular forward-looking statements contained in this document.